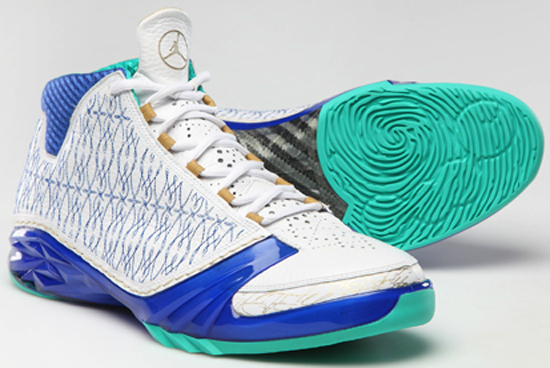 A special edition Air Jordan XX3 made exclusively for Maya Moore. 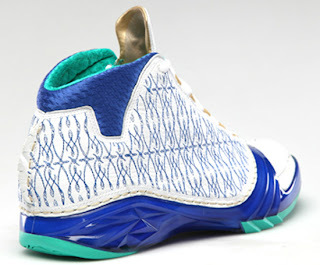 With the 2013 WNBA season now under way, Jordan Brand has graced Team Jordan member, Maya Moore with an exclusive colorway of the Air Jordan XX3. Moore, who is now 23 is in her third season as a pro playing for the Minnesota Lynx. This "Home" edition comes in a white, varsity royal, atomic teal and metallic gold colorway. Made for Maya to wear while playing at home for the Lynx this season. Featuring a white based leather upper with royal blue, teal and gold accents. 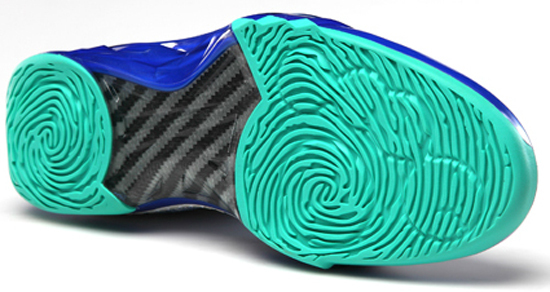 Royal blue is found on the stitching throughout the upper as well as on the collar and midsole. Atomic teal accents the sockliner and outsole while metallic gold is found on the tongue, lace loops, stitching and signatures on the toe. As these Air Jordan XX3s are PE's, they were made only for Maya More and will not be sold in stores or available to the public. 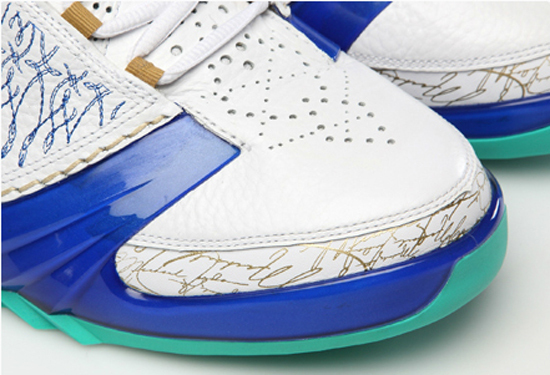 Enjoy the detailed images of this Maya Moore Minnesota Lynx "Home" Air Jordan XX3 player exclusive in white, varsity royal, atomic teal and metallic gold below.